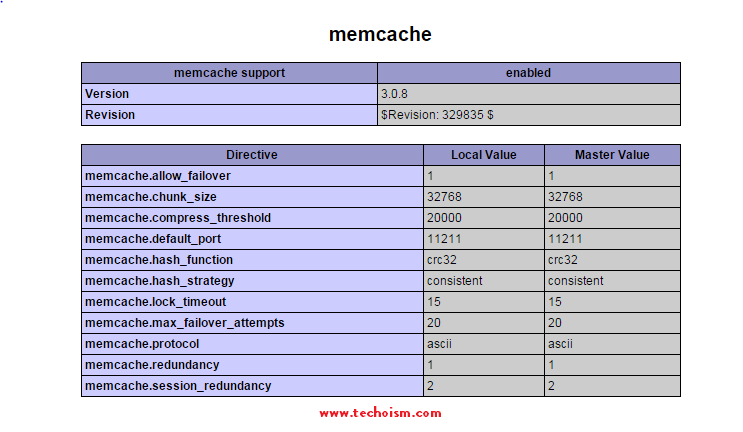 Memcached is a high-performance, in-memory storing that caches objects for faster website performance. Rather than disk caching, Memcached stores objects in memory which is faster thann disk. It is extremely valuable for caching so as to improve dynamic sites and enabled speed by caching objects in memory. In this article we will explain how to install Memcached on Ubuntu 12.04, 14.04, 14.10 and 15.04 systems. Now use following command to install memcached on your system. Use following command to verify that memcached service is running fine or not. Now check Memcache php extension is enabled and working properly. Now access below url to check memcache PHP Extension.